Sport harnesses are usually lighter by about four to six ounces, and more streamlined, than trad harnesses, which may have four or more gear loops and heavier, thicker padding. Gear loops have classically been made of plastic or nylon tubing, but now many are made of easier to clip molded or foam-core. Trad harnesses are all-arounders, designed for traditional cragging but also working for sport or gym climbing. These will have padded waist belts and leg loops for hanging in. On the sides are gear loops (usually four) on which to hang quickdraws and other protection. Trad harnesses have become lighter and lighter over the years: many are now nearly as light as sport types. Ice/Alpine harnesses are for long days in the mountains. Intended for speed and efficiency, they contain little padding, both to trim weight and to reduce moisture absorption. Waist and legs are adjustable for various changes in layers according to weather and temps. Big Wall harnesses are for multi-pitch, multi-day climbs such as those in the Wind Rivers, Zion or Yosemite. They feature copious padding to ease pressure during hanging belays or long aid pitches, beefier gear loops to hold loads of gear, and a full-strength loop in back for attaching a haul line. In general, the heavier a harness, the more padding it has and the burlier the gear loops and other features. Padding can provide comfort when you really need it, especially in summer when you wear thin clothing. Most harnesses now contain closed-cell padding, which is lighter and trimmer than fleece, and winter harnesses must use it to prevent freezing. 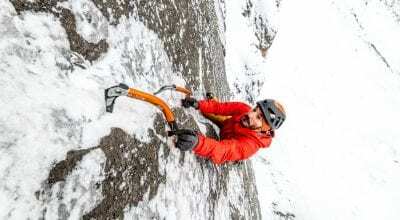 A heavier harness is usually fine and comfortable for local cragging, but some climbers, such as alpinists and sport climbers, pare every ounce. Women’s harnesses are made with larger leg loops and smaller waists. Many have a longer rise (distance between crotch and waist) to suit women’s higher waists. Some women, especially if relatively short-waisted, may fit best in a unisex men’s harness. If you generally do the same type of climbing in similar climates, non-adjustable leg loops work well. Adjustable leg loops, however, will work either in heat or cold, over more or less clothing. Winter or alpine harnesses may have detachable leg loops for putting on crampons or answering calls of nature while staying roped. The greatest advantage to adjustable leg loops, though, is the custom fit. Leg loops that don’t adjust are like wearing someone else’s pants … pants that don’t quite fit. With buckles, you can snug down the leg loops for the perfect fit, making them much more comfortable for extended hang time. Adjustable leg loops have “gumby” written all over them for snobby elite climbers, but they actually don’t have a disadvantage and are better in all ways. Some harnesses are available with an adjustable rise. Let fit be your guide as to whether you’d be better off with one. On a harness with a too-short rise, the belay loop pulls down on the waist belt. With a rise that is too long, disproportionate weight lands on the leg loops and the waist belt jams up against your lower ribs and can make breathing difficult. Don’t underestimate the importance of getting the rise to fit you just right. Most harnesses have full padding, a boon for dogging, hanging at belays and carrying around full racks. 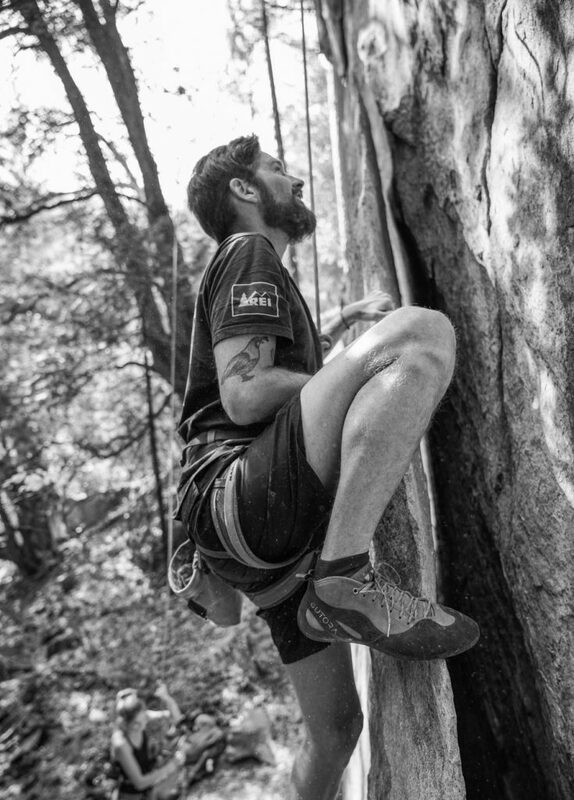 Padded leg loops are best for most uses, but sport-climbing designs traditionally save weight and bulk by using little padding and narrow webbing. Winter and alpine harnesses have classically had no padding in the leg loops and only scant padding in the waist, as you tend to hang less in winter and to be cushioned by warm clothing. However, as closed-cell foam padding, which is light and trim, has replaced fleece, some alpine models have padded leg loops. Sport harnesses and many others have a sewn belay loop, which connects waist and leg loops, in front. It is not intended as a tie-in—always thread through your waist and leg loops—but facilitates easy belaying and easy clipping on sport-route anchors. Look for a good, strong loop, but not one that juts out too much. An overlarge, stiff loop could irk you on scrunch moves or even catch on the rock as you move closely over it. Most harnesses contain four, although some offer as few as two or as many as eight or nine gear loops. Some people want all gear at their waists, in which case get at least four loops. Some people prefer to use a bandolier, or shoulder sling, instead, for their pro, in which case two or three loops should suffice even with a trad rack. Too many loops can actually make it harder to grab gear fast, but many climbers like a few extra loops for clipping in a water bottle or extra piece of clothing. 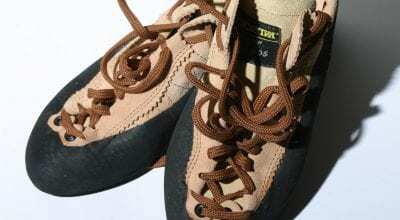 A loop of webbing at the back of the waist belt, usually used in big-wall climbing, but also handy for extras, even approach shoes, as well as trail ropes. Most are full strength but some are not. Find out.